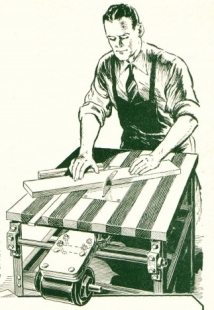 Homemade table saw featuring a laminated hardwood top and an angle iron frame. Saw blade is belt-driven by a 1750 rpm motor. V-pulleys regulate saw speeds.